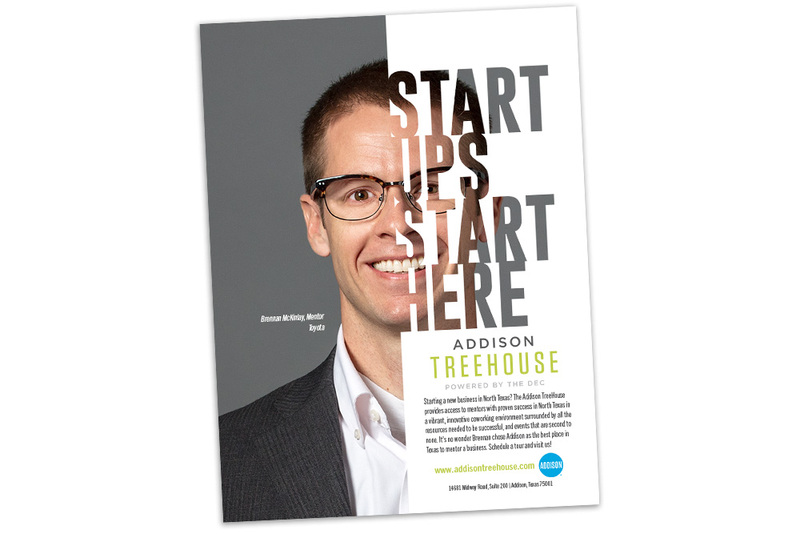 Rainmaker Advertising has assisted the Town of Addison throughout the years with the branding for several of their events. 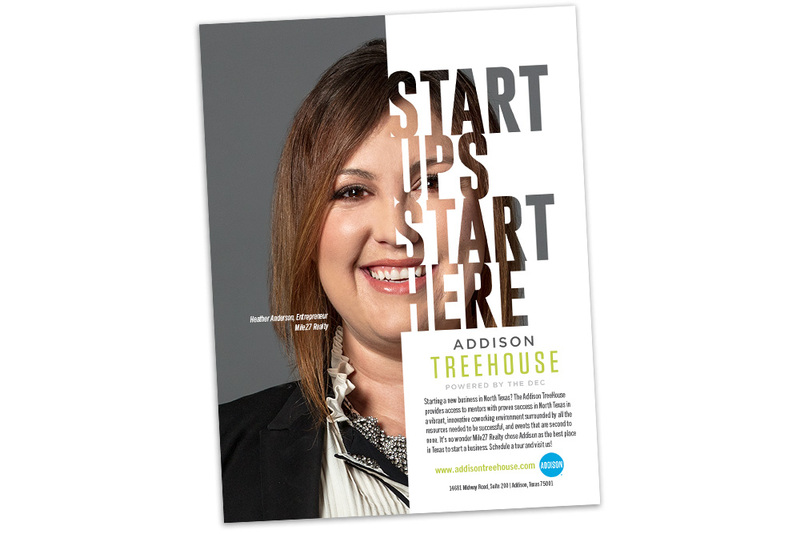 We just completed this ad campaign for the Addison Tourism Department which highlights the benefits of the Addison TreeHouse. 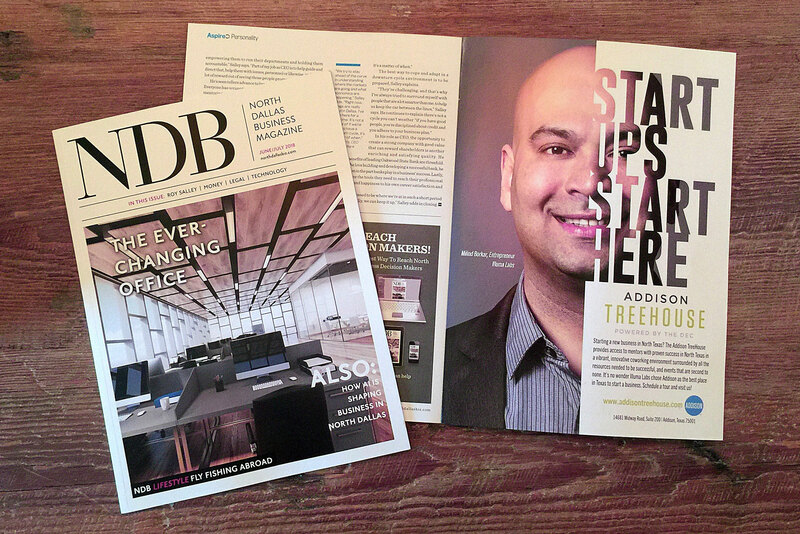 The Addison TreeHouse is part of The DEC network and is a coworking space and 501c3 non-profit created to help entrepreneurs start, build, and grow companies through education, mentorship, and community. 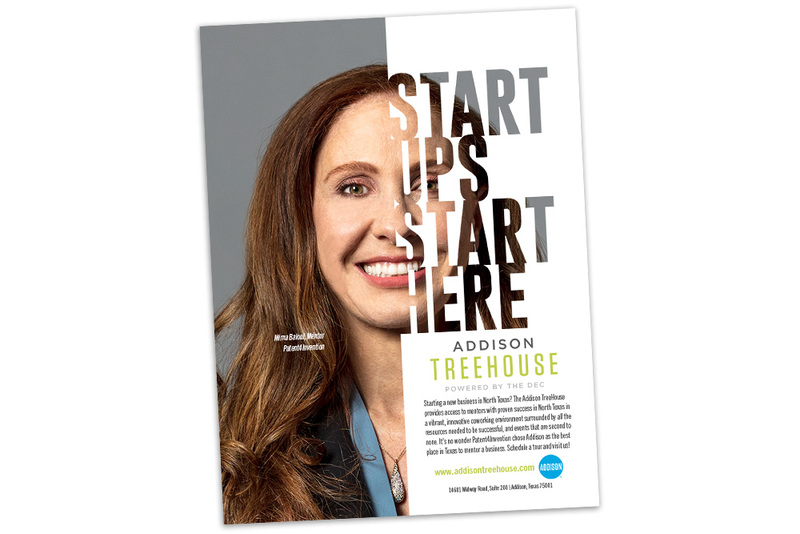 Rainmaker coordinated and art directed this campaign which featured several of their mentors and entrepreneurs up close and personal in a custom photo shoot.